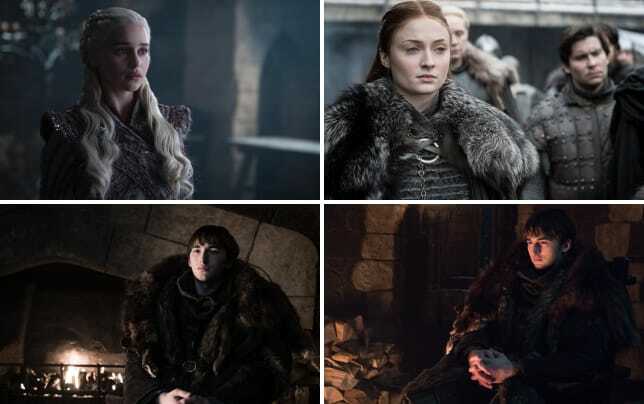 HBO has finally confirmed when two of its most popular series and some incredible new content will be making it to air. There is a lot of talent involved with their offerings, and we haven't even scratched the surface of their documentaries which are always essential viewing. First up, Big Little Lies will return to the network in June. 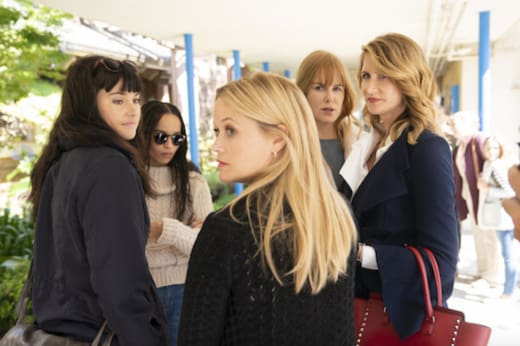 "On the surface, in the tranquil seaside town of Monterey, California, everything seems the same," reads the official logline for Big Little Lies Season 2. "The mothers continue to dote, the husbands support, the children remain adorable and the houses are just as beautiful." "But the night of the school fundraiser changed all that, leaving the community reeling as the 'Monterey Five' -- Madeline, Celeste, Jane, Renata, and Bonnie -- bond together to pick up the pieces of their shattered lives." It stars amazing women Reese Witherspoon as Madeline Martha Mackenzie, Nicole Kidman as Celeste Wright, Shailene Woodley as Jane, Laura Dern as Renata Klein, Zoë Kravitz as Bonnie Carlson, Meryl Streep as Mary Louise Wright. The men in their lives feature Adam Scott as Ed Mackenzie, James Tupper as Nathan Carlson, Jeffrey Nordling as Gordon Klein, and Douglas Smith as Corey Brockfield. The network has also announced that Veep will return for its seventh and final season on March 31. Julia Louis-Dreyfus as Selina Meyer, who is hitting the campaign trail as she runs for president. It will mark the first time the show has been on the air since 2017. Louis-Dreyfus is a three-time consecutive Emmy Award winner for her role as Selina Meyers. The ensemble cast also includes two-time Emmy winner Tony Hale as Gary, her devoted bodyman; Emmy nominee Anna Chlumsky as Amy, her right hand; and Emmy nominee Matt Walsh as Mike, her former spokesperson. The cast is rounded out with Reid Scott as the ultra-ambitious Dan; Timothy C. Simons as Jonah Ryan, a former hanger-on turned congressman; Kevin Dunn as Ben, her campaign manager; Emmy nominee Gary Cole as analyst Kent; Sam Richardson as staffer Richard; and Sarah Sutherland as Catherine, Selina’s daughter. Meanwhile, HBO has also announced that upcoming miniseries, Chernobyl will bow in May. On April 26, 1986, the Chernobyl Nuclear Power Plant in Ukraine, Soviet Union, suffered a massive explosion that released radioactive material across Belarus, Russia and Ukraine and as far as Scandinavia and western Europe. Related: Golden Globes 2019: All the TV Winners! Jared Harris, Stellan Skarsgard, Paul Ritter, Jessie Buckley, Adrian Rawlins And Con O'Neill star in the five-part series. On the comedy side comes something refreshingly different. From the minds of fresh, exciting talents Julio Torres and Ana Fabrega, alongside Fred Armisen and Lorne Michaels of Saturday Night Live, comes the primarily Spanish-language comedy series Los Espookys, which begins its six-episode season this June on HBO. The half-hour series follows a group of friends who turn their love for horror into a peculiar business, providing horror to those who need it, in a dreamy Latin American country where the strange and eerie are just part of daily life. Starring Bernardo Velasco, Cassandra Ciangherotti, Ana Fabrega, Julio Torres and Fred Armisen, Los Espookys was created by Fred Armisen & Ana Fabrega & Julio Torres, and executive produced by Fred Armisen, Lorne Michaels and Andrew Singer. Finally, the controversial Michael Jackson documentary Leaving Neverland will debut on HBO on March 3 and 4. 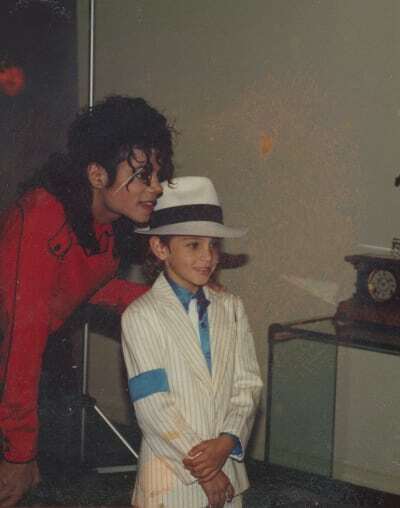 The two-part documentary explores the separate but parallel experiences of two young boys, James "Jimmy" Safechuck, at age ten, and Wade Robson, at age seven, both of whom were befriended by Michael Jackson. They and their families were invited into his wondrous world, entranced by the singer's fairy-tale existence as his career reached its peak. Through gut-wrenching interviews with Safechuck, now 37, and Robson, now 41, as well as their mothers, wives, and siblings, Leaving Neverland crafts a portrait of sustained abuse, exploring the complicated feelings that led both men to confront their experiences after both had a young son of their own.